If you have a small business and you want to grow it, you should create your own website to introduce your products to potential clients. But how to know how many people are interested in the information which you give them and how useful is it? Web-analytics is a very functional set of tools, which can help you to improve your website and to make it popular. It’s maintained by the process of gathering, subsequent analysis and interpretation of gotten data about website visits. With the help of web analytics, you can understand, what is significant for site visitors and what is irrelevant. You will clearly understand what is worth focusing and what prevents the achieving the desired results. Google Analytics is the most common web analytics tool. You can add Google Tag Manager and Power Bi to get the full set for collection and interpretation of the necessary data. Such information about site visitors as the geographical location of users, their age, preferences, etc. can be systematized. This data will clearly show you how user-friendly your website is and what methods you have to implement to improve it. Use Google Analytics to get all the necessary data. A website owner can understand how effective advertising is and other changes in internet marketing, which are used in working over a project are. For example, using Web Analytics tools, you can find a specific platform where most of your users are gathered and engaged. Using elements of SEO you can know what keywords raise your website on the search engine rankings. Such a PPC advertising service as Google AdWords with usable interface provides a large number of tools for efficient advertisements developing. Saying about studying competitors in internet marketing, we mean studying the instruments which they use: website, promotion strategy in the search system, the context advertising campaign, etc. Analyzing the strategy of competitors, you can get inspired with fresh ideas, which will help you to know how to keep your website developing in a new special way. The digital footprints that the visitors leave behind reveal a great deal of insight into their shopping preferences, beliefs, etc. After analyzing what is the most interesting among your products for your customers, you can determine what next offer will be in great request. The web analytics tools allow you to highlight the most popular pages and sections on the site and to form the overall picture of visitors interest. Such method as split-testing which is provided by Google Optimize will help you to know the influence of several components of a page, such as signup forms or calls to action, on user’s behavior, habits, and needs. So, you will be able to improve the conversion of any action and website metric more competent. You can faster and easier find the problem places in the work of site such as broken links, pages with a high rejection rate, etc., using web analytics tools. With the help of web analytics, you can monitor all channels of attracting the clients. It gives an opportunity to highlight the most efficient facilities and to reallocate budget more profitable. There are too many benefits, that web analytics gives to website owners. 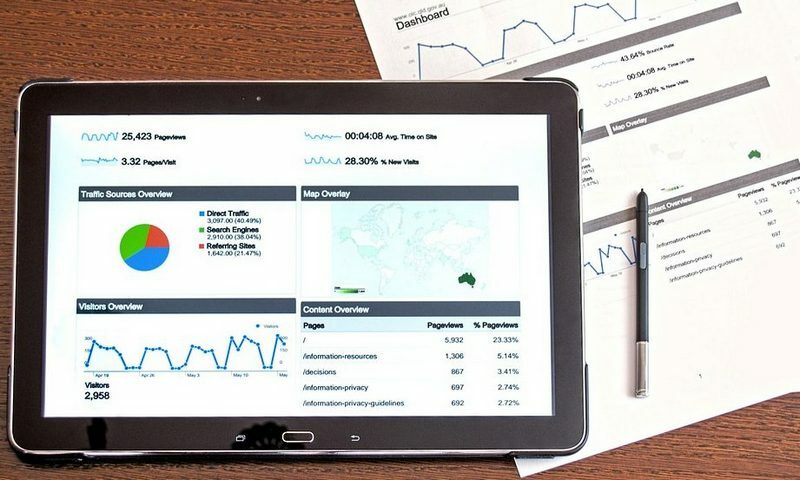 It’s one of the most efficient tools of internet marketing, which allows you to gain access to unique data, which with correct analysis gives you huge opportunities to provide stable business development and to increase your income.